Chris I will pass on the dating advice as my track record isn’t too good. On the land. First I would check zoning in your area and make sure you can build a bridge across that brook. Also check what you can or can’t do with respect to a dam or hydro power. Some places won’t let you do much of anything other are pretty much do whatever you want. Then there is family. My advice if you go that route subdivide the property on day one and make sure it is crystal clear who owns what. This is something which will drive a wedge between the closest of friends or family because there will be someone who feels they got jaded. Trust me on this one I am living on the Old family farm and as a result of getting moved up here to help my mother I have one brother who claimed he was all excited to help me the first year. Come the end of the year he handed me a bill for about $10,000 claiming it was the bill for the labor he refused to discuss before that telling me he was glad to help me with the farm to take care of mom. Needless to say it is about 4 years later and we don’t speak any more. Mind you before this all started I had spend and entire summer helping him build his barn and working on his property without asking anything in return because to me it was what family does you help out when you can. So my advice is make sure it is all on paper from the start because people change their mind with time. Now my thoughts on the lot. I love it love the view looks like a great place to call home. I could recommend a few good books on home design if you like but the thing that jumped out at me is that hill is the perfect place to cut into for a hillside house think the hobbit home. I almost started a company back before the recession in the early 2000s designing environmentally sound homes off grid. 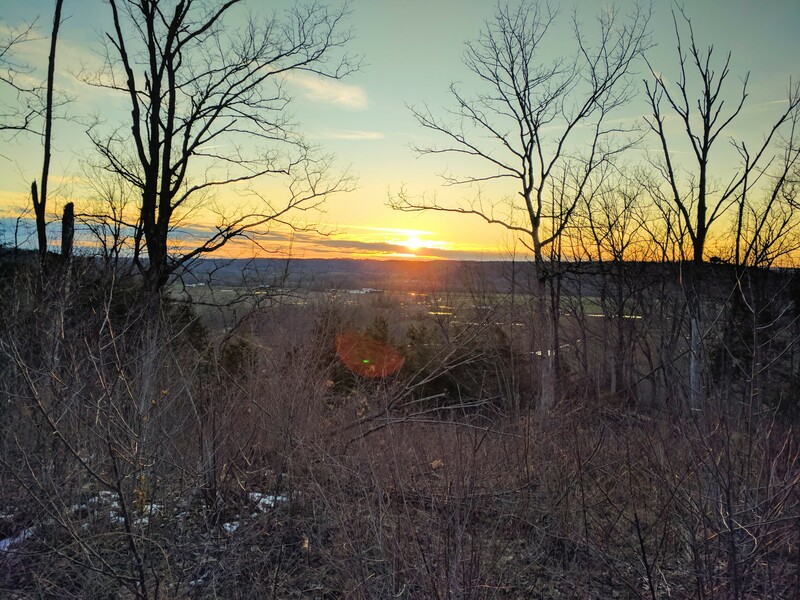 I didn’t see if there was power on that back road and i don’t know which way the hill faces but of that view is south or south east it is perfect for a passive solar house built right into the side of the hill and people would hardly even know you built it there. The one other think I have seen people do looking for land lately is find someone who is old enough they need help staying in their home and offer to buy with right of survivorship. Meaning you help them live the rest of their life in their home and you get the property at a reduced rate. I have several friends who have done this and it worked out well for all involved. Anyway those are my thoughts if you want some books to look into for home design let me know. There are some really cool things you can do including earth built homes if you have clay there. Funny some of the older technologies are actually really good from an environmental perspectives. Yes, sawmill is high on the list. I have a lot of use for custom cut timbers, as well as regular lumber. I won’t be cutting my own trees for some time, as they are mostly on very steep hillsides and was probably logged in the 40s-50s. Another good reason to get a flatter section of woods started NOW, so I can be cutting firewood in 20 years. Billy N, I’d buy a smaller parcel but they are very hard to find here. A lot of the land come up in the 1-200 acre range, the small parcels tend to be 2-3 acre plots cut from those, with commuter style houses. Trust me here, I’ve looked. I hate debt as much as you, I have never gone into it before and don’t intend to ever again. However in this case it makes sense. I have a significant portion saved, and the payback time will be just a few years. Time is more valuable to me right now than the debt load. I know exactly what I’m getting myself into. Bill S, logging road is not paved, maybe you’re seeing that road at the top, which is Old Frankfort Pike, county road but very tiny and not fun to pass another car. The road coming into the driveway at the bottom was paved at one time but needs severe repairs. We’re looking into the driveway easement to make sure I have deeded access, the bottom portion is landlocked. Hillside tree types are typical mix of hardwoods for this area. About 20 acres of that. Bottom land is very wet, favorable to black walnut, cypress, water maple etc. Dan, I’m not going to subdivide at this point, the land is actually going into a family trust which will be set up so all may share usage but it can’t be broken up or sold without unanimous approval. We are not the type of family to sue each other, far from it. Either they will join in the project, or go off on their own adventure. Definitely looking into hillside building options. At the very least, a walkout basement. I’ve studied house design for a long time, so I have a good idea on what I want to build. I of course agree with the consensus here… the missus gets final pick. However she’s not here yet. View faces west. Sunsets will be spectacular. I you do a walk out basement Chris try to go ICF. Block seems cheaper at first but with the humidity issues and inside framing taken care of you will not regret it. It lends itself well to the DIY type. A 4 hour course and you are off to the races. The land is beautiful by the way if I did not make that clear. I only have 10 acres here but am trying for a wood lot. Chris check out this book for design ideas. I always liked the looks of a house built into a hill with a grass roof I have never tried it so I don’t know how hard it would be to keep it from leaking but the idea of blending the house into nature really appeals to me. It was a design I wanted to build for myself when I was looking for land. As to the family trust I hope your right. I honestly didn’t see my brother turning before he did. All I can tell you is a large block of land has an effect on some people. I have one brother i get along with ok but his wife is after him to make sure he gets “their” share of the farm. I hope your right but I have seen it here for 2 generations. I watched my uncles fight all the time as a kid the root of the problem was one of them felt the property should be sold so he could take the money the other one wanted to keep the farm running so my grandfather could live out his old age in the house he built. Just friendly advice it came at me sideways from someone I didn’t expect it from in my generation. Oh Chris you would have to do some searching but there is also a house design where you build a house on a slab but below the slab you put in a thermal mass with sand and Pex piping for a water loop. Two things about this design you can pump solar thermal collectors through it late summer and use the mass to time shift a very large percentage of your heating I want to say something like 70% If memory serves me right. I ran a ton of numbers on it back when I was planing these types of houses back around 2000. Anyway the idea is you spend the same money as it costs to put in a basement but get heating gains. This design works well with the Russian wood gasification boiler I have posted before they actually designed it to work with a sub floor heating loop on the website where you can see the boiler built. I might be building one of those boilers here. Anyway something to think about. Of course if the heating loop goes bad below the slab I guess your bumming… I am currently debating if I build a wood boiler or spend the money for a ground loop heat pump the cool thing with the heat pump is you can also cool with them in the summer. Down where you are they would probably be a good deal I think it is the deep cold we get they are not good for. Oh my other advice is if you can find a pto powered generator it is way nicer because you could have one generator and two tractors to have a spare of the part that will breakdown. I am looking for one for my setup when i go off grid. Heck that would make s great attachment for your work now that I think of it I bet most people with a walkbehind tractor are the type who would go off grid and want a generator. Dan look into the newer air to air heat pumps. The technology has improved a lot in recent years. If off grid is ever in your plans stay away from the ground loops. The size of the compressors locks you in to a grid connection forever. Financially they seem to only make sense if you have no wood and a very energy inefficient house. Heck that would make s great attachment for your work now that I think of it I bet most people with a walkbehind tractor are the type who would go off grid and want a generator. After we purchased our land, we visited the local Agriculture Extension Office and met an “about to retire” experienced Extension Agent. He scheduled a day to come out and walk our land with us and give advice on how to manage it. (I wish I had used a tape recorder.) One of his suggestions was to create a pond or small lake in a wet-weather stream area, and he even recommended a local bulldozer operator. We followed through with that idea, and have two nice “tanks” as they are called in this area. For me, that means if I sell twelve calves at auction, the taxes on the land is based on it producing those same 12 calves every year. If a pack of wild dogs or coyotes kills a bunch of calves, I still pay tax as if I had sold 12 calves, even though I only brought 7 to the auction house. Another big worry is a whole bunch of city dwellers moving out to the country and wanting protection provided by the big city police and fire departments. They encourage annexation (seizure, occupation, invasion, conquest, takeover, appropriation), and will attempt to form a local government. If your land is included in the formation of a city, the Ag. Exemption goes away. Then taxes on your land will skyrocket, and you are screwed big time. I now have an elementary school almost across from my property and I can’t even get out of my driveway when school starts or lets out. David thanks for the heads up. I don’t want to hijack Chris’ s thread too much. But I am defiantly looking at all my options at the moment. Friday if all goes well I will be picking up a backhoe attachment for my tractor so I can remove some stumps around here this summer. Like everything I own it is cheaper because it will need adapting to make it fit my tractors but when done it will be much nicer then I could afford any other way. Long story short I am trying to meet 100% of my energy needs off the farm over the next decade. I will also be picking up a pto generator for the simple fact that it will be one less thing to convert later. The more I can run off a tractor the more I can switch off gas and diesel when I repower the tractor to wood… My goal is to be doing the farming with electric tractors powered by solar and wood. So to being this a little bit back to Chris my 2 cents is make the most of any gasifier you build by owning fewer motors and more attachments. You do need a couple of motors or tractors but I can’t over state the value of attachments that can run from different power sources. I think land is the best investment a young man can make, though i dont like the facts behind the land use in some cases. Take your time investigate well. Plenty of room for farming cattle. And wood heat car gas. Keep it in the famely not for run away volitile brides. Chris, this really looks like an ideal property as long as you get the easements figured for access. This is where all your research in the past years pays off. You may the most educated hands on person I’ve ever met. Quite impressive for a guy your age. I for one have no doubt you will apply your knowledge to this or any parcel you purchase in the most fitting manner. Personally I can’t wait to see how it evolves and what you choose for projects. One thing I’m sure of is, you and your family will be successful. What you haven’t disclosed is if there are utilities and what local restrictions may come into play. When I lived in the city, I couldn’t have a wind generator without jumping through a bunch of hoops and spend a lot of money. I was able to erect a windmill up to 29’ as long as it didn’t generate electricity. Can you use the water from the creek? Has any part of the land been deemed wetland? Can you legally use drain tile for the fields? It’s wide open on regulations, we can do basically whatever. The place is full of junk around the house, which is why I haven’t focused on it. Current tenants seem to have trashed the place. There is power available at the house, however it is on hauled water. There is a septic system. It’s not classed as wetland, and most of the surrounding farms have clearly been tile drained. I may install tile, however I need to determine first off if it’s a simple plow hardpan or if it is actually a high water table. Could just need subsoiling. The driveway easement is a contingency of the offer, as well as a survey and removal of the tenants currently living there (they’re in eviction proceedings already). All pretty straight forward according to the realtor. The offer went in last night, we’ll see where it goes from here. I have a great way for you to bump into your off-grid mate!! I live at Dancing Rabbit Ecovillage in NE Missouri. We have the largest collection of natural material buildings in the Midwest and we have lots of folks (a decent amount of young women) coming through here April through Sept, taking our workshops, work exchanging with our home builders. You should come by as our guest for 2 or 3 nights and see the place. There is also a Bnb here if you don’t want to camp. We produce most of our own electricity and use 90% fewer resources than the average US household. I met my partner Rae here. She’s a badass and can weld or build just about anything these days. A strawbale, solar- and wind-powered B&B, cafe and store. 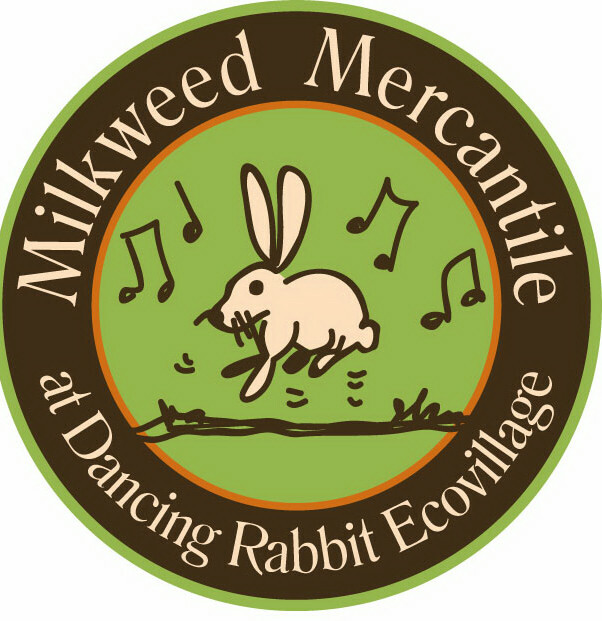 Located at Dancing Rabbit Ecovillage in Rutledge, Missouri. Organic, local meals. my best greetings for your decition to homesteading. I started 40 years ago, 2 years after finishing Medical School. I bought a property with absolutely no services and transport the last kilometer was on MULE. I build a Rural Clinic in 1990 (unforutanetly had to close en 2004 and merge to a city to survive, dew to new regime. Long story). We keep the house and I started to take down the old house (over 80 years old) 25 years ago. I haven´t finished yet. JUNE2017 I closed operations in the city and came back for keeps. It hasn´t been easy in our actual VENEZUELA under a comunist regime, we are passing it hard, but in the country it´s much easier. Much water under the river and 11 children and 10 grandchildren later we have gained a lot of experience. Beside being a doctor, I gained hablities has solderer, plumber, carpenter, electrician and others. Our served waters treatment system is one of our proudest proyects. I´ll send photos. Once again, my best wishes. P.D. : I met my actual wife here when I saw a beatiful woman launching full loadedl guava boxes on a 350 Ford truck, I said to my self: …wao, this IS a complete woman! That same night I met her in a country party. She still is at age 60, I´m 70. Keep it up! Hey ChrisKy, any word yet on your families offer on this property? Smart by the way to be walking-out this time of the year. Leaves down - you can see. AND get-wet, stay wet spots readily apparent. Here off-wet time we tell to watch for bear-grass tufts for the winter wet areas. Nothing final yet, but in talks with the sellers. Looks very promising. One step closer… they accepted the offer. Exciting! There won’t be enough hours in a day to do all the things on your work list.